Today is the last day for NBA players with options to opt out and become free agents. Oddly enough, a number of them are not doing so. But I think these guys made the right move. 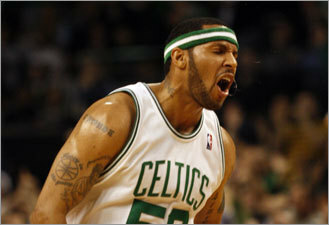 Among those who decided to stay put for the final year of their contract are the Celtics’ Eddie House, and the Jazz’ Carlos Boozer. Why is this the right move? Right now the economy is tight. There seem to be a goodly number of free agents out there, and only so much money to go around. Teams will not want to spend lots of money so these guys might not do better than their current contracts this summer. Teams have been clearing cap space for 2010 however. Some high profile players will be available. Here the deal- they can only sign with one team. So, the teams that don’t sign the high profile players like LeBron James will have money to spend on guys like House and Boozer. So it make sense for them to stay put, earn some good green and wait for what promises to be a better contract next summer. Teams are also realizing other teams don’t want to pay free agents much this summer. At least that is the gamble teams like the Bucks are taking. By not tendering some free agents, teams are thinking they might be able to get that player for less, or a suitable replacement for less than what the player expects right now. The economy and the fact that teams don’t want to tie up money long term means there may be some good bargains out there. Some of these guys may have to settle for less time and less money than they want. It may very well pan out like the baseball off season did- a few guys got way too much money (Money Ramirez and the Yankees’ signings) and lots of guys took huge pay cuts. House, Boozer, and a few others may have read this right and will be better off long term. We’ll see in the next few days. I will confess that I was not excited about Posey signing with the Celtics last summer. I hadn’t watched him play much. I was wrong! He played a vital role in the Celtics’ championship season this year. Great defense, timely 3-point shooting and a great locker room guy. He was VERY important. So, he decided he needed a raise. He did have the player option, so he went for it and opted out. His agent talked about how this might be his last contract, and he wanted to make the most out of it. That meant that he wanted 4 years. 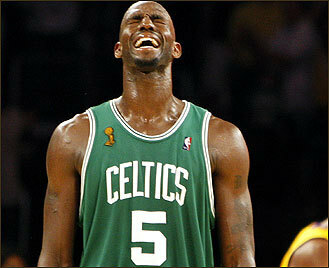 The Celtics, leery of his age and wanting salary cap flexibility, were only offering 2 years. He wanted to stay a Celtic but they couldn’t agree on the contract. There didn’t seem to be a middle ground where years were concerned. Lots of other teams wanted him. And the New Orleans Hornets got him while he got his 4 years. His $25 million dollar salary over those 4 years represents a nice raise for James. And he does go to a very good team featuring Chris Paul. So, he didn’t take the money to play on a lousy team. I respect him. It basically starts with the full MLE. This puts the Celtics in a quandry. Posey is gone. Tony Allen didn’t quite turn out like we hoped and he is probably gone (he’s a FA). Eddie House is probably gone too. Scot Pollard was barely here, and he’s gone. P.J. Brown will most likely retire. Sam Cassell will probably go elsewhere. This is why it is so hard to repeat in this era of sports- guys want to get paid (you’d think they were making $50,000 instead of millions of dollars). Especially after they win a championship. But we picked up Patrick O’Bryant (there is some sarcasm there if you missed it). Problem is we have lost one of our best perimeter defenders, and 2 out of our 3 best 3 point shooters. Not quite easy to replace, but essential to winning another championship. So Danny, we really need you to pull something out of the hat. What you got? I don’t think our draft picks, even Giddens, are quite what we had in mind. Cost-effective, yes. But not adequate replacements for Posey and House. The Free Agent Market? Maggette, gone. Lue, gone. We never had a shot at Brand or Davis. There is always the Birdman, Chris Anderson. But he’s a big man and not a guy who’ll create space by hitting mid-long range jump shots or back up Rondo. What’s a GM to do, Danny? My small consolation from Game 3 was that Pierce played horribly, and KG was sub-par. And the Celtics still could have won that game. It was ugly basketball. The play is physical and the refs are inconsistent. The disconcerting question is what is wrong with Rajon’s ankle? That could be a series altering injury. Or, he could be perfectly fine in 2 days. What I do know is that the Truth needs to return from Jet Lag City. If he plays like he did in the first 2 games, the Celtics put this baby away, and quickly. But if he struggles in LA, they are in big trouble. 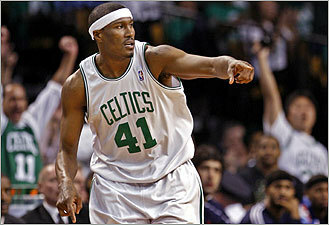 Kudos to Ray Allen who was the only Celtic who seemed to have a good game. He’s recovered from his slump, and that is good news folks.